View More In Environmental Economics - Page 2. From the author of 1491—the best-selling study of the pre-Columbian Americas—a deeply engaging new history of the most momentous biological event since the death of the dinosaurs. The Columbian Exchange, as researchers call it, is the reason there are tomatoes in Italy, oranges in Florida, chocolates in Switzerland, and chili peppers in Thailand. More important, creatures the colonists knew nothing about hitched along for the ride. Earthworms, mosquitoes, and cockroaches; honeybees, dandelions, and African grasses; bacteria, fungi, and viruses; rats of every description—all of them rushed like eager tourists into lands that had never seen their like before, changing lives and landscapes across the planet. 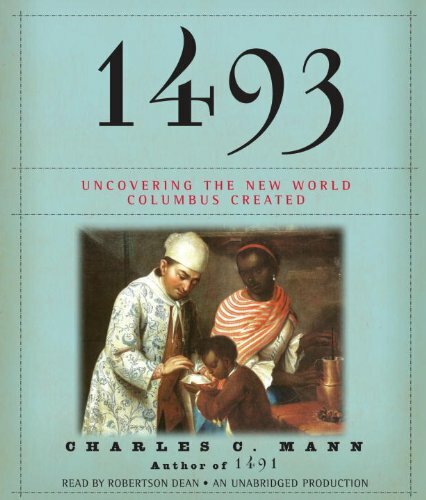 As Charles C. Mann shows, the Columbian Exchange underlies much of subsequent human history. Presenting the latest research by ecologists, anthropologists, archaeologists, and historians, Mann shows how the creation of this worldwide network of ecological and economic exchange fostered the rise of Europe, devastated imperial China, convulsed Africa, and for two centuries made Mexico City—where Asia, Europe, and the new frontier of the Americas dynamically interacted—the center of the world. In such encounters, he uncovers the germ of today’s fiercest political disputes, from immigration to trade policy to culture wars.